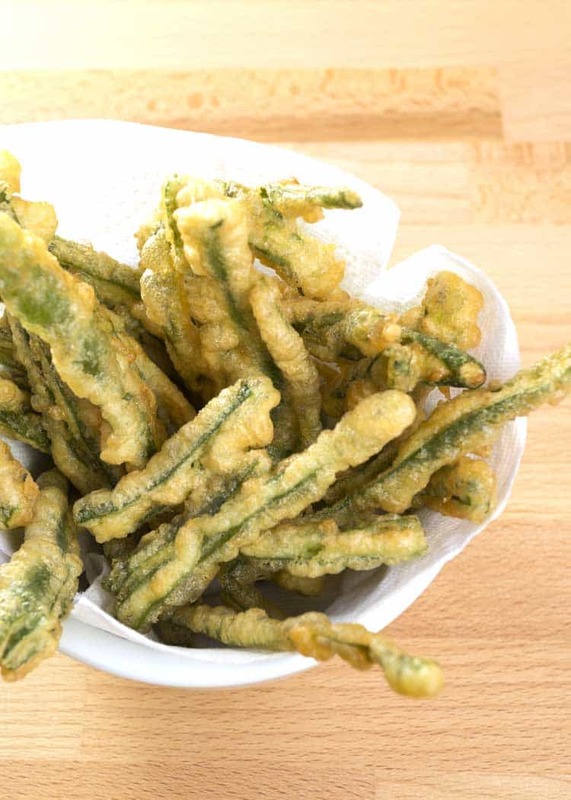 Ah, fried green beans–we love them. Pick green beans fresh out of your garden during the summer or buy them at the store the rest of the year. Either way, they taste fresh and crisp and are just so good to make in fresh green bean recipes. Fried food is good food, but its not the healthiest thing in the world. We like using an oil-less deep fryer to get the same great taste of fried food without all the extra calories and fats. You can do the same thing with our Copycat Onion Blossom, Fried Pickles, and Fried Mozzarella Sticks. This recipe is a good way to use up bountiful crops of green beans. They make a delicious and crunchy snack that you’ll want to nibble on no matter what time of day. 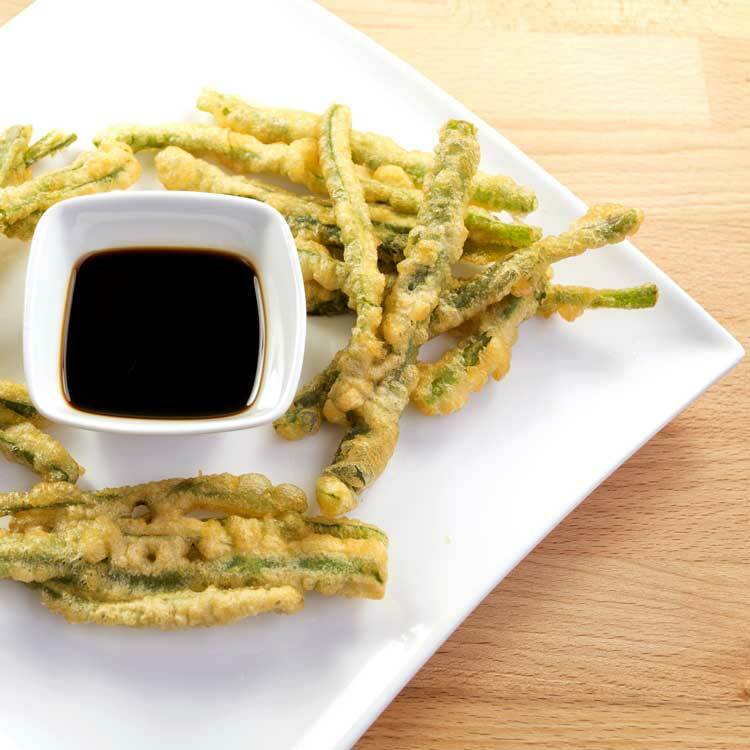 Serve these Fried Green Beans up as an appetizer for a fun party favorite. But don’t stop there, because there are so many ways to cook green beans, that you can be enjoying this healthy and beneficial vegetable all year long in a variety of ways. Need a way to get some greens down your family? Well, this is the way. It’s not that hard to do either. Plus, it can get your family at least thinking about eating their veggies. Right? Click Here to get more top-rate restaurant copy-cat recipes. 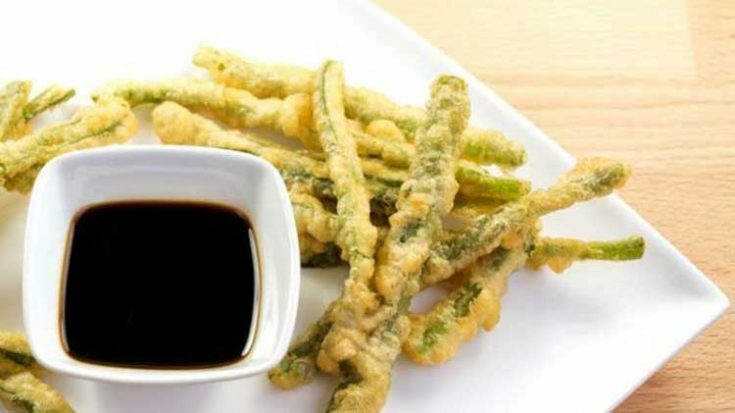 Copycat Green Bean Fries Recipe is one of the best appetizer recipes you can serve up. If you like fried food, you'll love this copycat recipe. Make the dip - Using a blender, puree the dressing, cucumber, horseradish, milk, vinegar, wasabi powder, cayenne pepper, and salt to taste. Once it is smooth, cover and store in refrigerator until ready to serve. Fix the beans - Using a large bowl, fill it with ice water. In a saucepan over high heat, bring the broth to a boil. Stir in the green beans and cook them about 5 minutes or until tender. Using a slotted spoon, remove the beans. Transfer beans to the ice water to stop the cooking. Drain and pat them dry after they have cooled in the water. In a shallow bowl, mix the egg and milk with a whisk. In another bowl, add 1/2 cup flour. In yet another bowl, mix breadcrumbs, the other 1/2 cup flour, onion powder, garlic powder, cayenne, and salt and pepper to taste, blending well. Line parchment paper on a baking sheet. Place the green beans in the flour, toss around to coat and then shake off the excess flour. Dip the beans one at a time in the egg mixture. Dredge the floured beans in the breadcrumb mixture. Place each bean on the prepared baking sheet. Place pan in freezer for about 30 minutes, or until the coating is set. In a deep pot over medium heat, heat 3 inches of oil until a deep-fry thermometer registers 350 degrees Fahrenheit. Fry the green beans in batches for 1 to 2 minutes, or until golden brown. Using tongs or a skimmer, transfer the beans to a stack of paper towels to drain. Serve along with the dip.